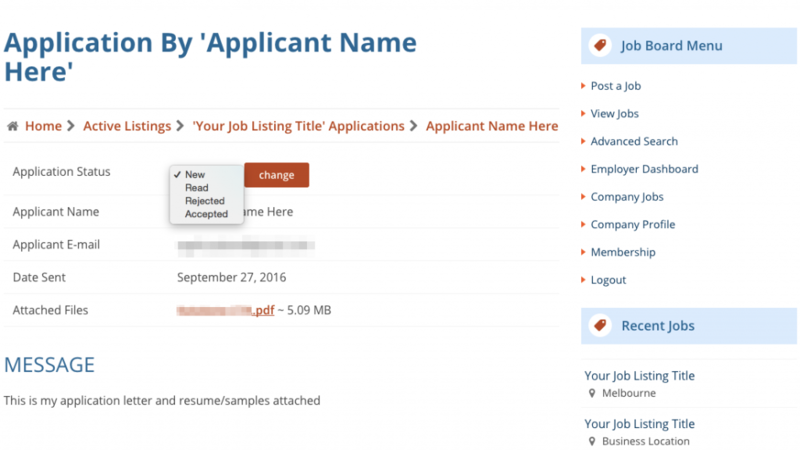 There is a phishing scam hitting many job boards that is hard for us to detect. We're doing our best to moderate and spot them, but the scam starts once you contact them and usually involves a request for a Skype interview, to download a zip file with their 'writing guidelines' or 'payment terms', and to send them an invoice via Paypal. The file is a keystroke logger and they're looking to steal your Paypal credentials. Please see our Tips for Applying Safely Online before applying for any jobs. For bloggers you can check out this post on how to apply for blog jobs. For advertisers, here is some advice on how to advertise for bloggers. See the following FAQs for more specific advice on how to use the job board as an advertiser. How do I manage my job listings? Everything is managed from your Employer Panel which can be accessed by clicking on ‘Employer Dashboard’ in the Job Board Menu when you’re logged in. How do I access Membership Packages for discounted listings? When logged in you can either click on ‘Memberships’ in the Job Board Menu or in your Employer Panel. Select the ad package you want to purchase. When you create a job listing you will see the package as an option in the ‘Listing’ section where you select the listing type and fee, with the number of job listings left to use in your package. How do I edit my job after I’ve published it? When logged in you can either click on ‘Company Jobs’ in the Job Board Menu or in your Employer Panel. Click on the job title to start editing and ensure you click on ‘Update’ at the end of the form. Alternatively you can click on the settings cog next to the job you want to edit and select ‘Edit Job’. How do I run the same job listing again? If you want to run the same job listing again for another 30 days, you can republish your ad. When logged in you can either click on ‘Company Jobs‘ in the Job Board Menu or in your Employer Panel. Click on the settings cog next to the job you want to mark as filled and select “Republish”. The create an ad form will be pre-populated with your existing ad details. Select the appropriate listing fee and publish the ad. How do I mark a job as filled? When logged in you can either click on ‘Company Jobs‘ in the Job Board Menu or in your Employer Panel. Click on the settings cog next to the job you want to mark as filled and select “Mark as filled” for a shortcut option. Alternatively, click on the job title and scroll to the “Is filled” field at the end of the form and mark the check box “Yes, the position is taken”. Ensure you click on ‘Update’ and the end of the form. When logged in you can either click on ‘Company Jobs‘ in the Job Board Menu or in your Employer Panel. Click on the job listing to see a list of applicants. Click on applicant’s name to see their application and to manage the status using the dropdown field. When you change the status of the application, the applicant will receive an email advising them of the status of their application.